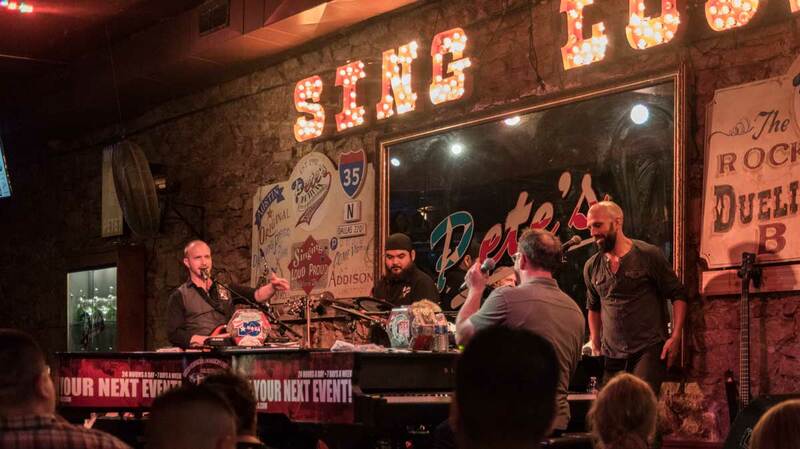 Pete's Dueling Piano Bar, Austin, TX - WattWhereHow? 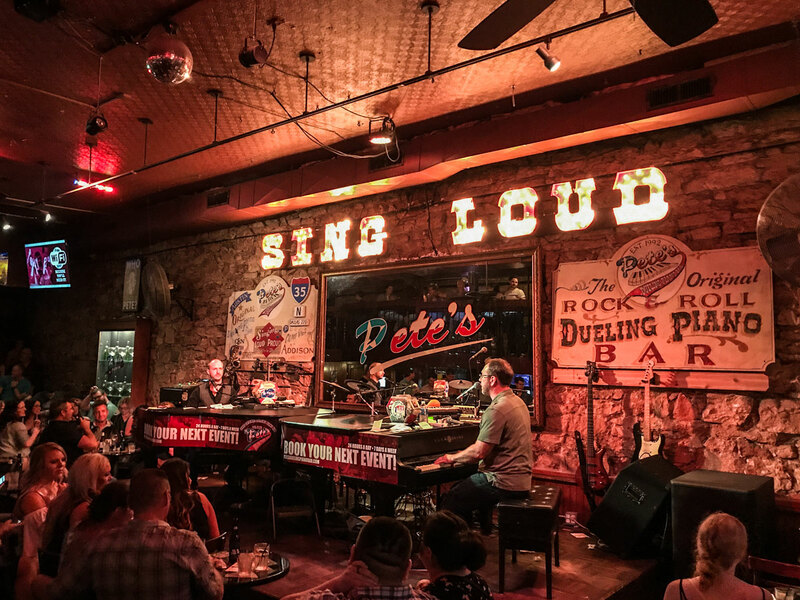 Pete’s Dueling Piano Bar is an Austin staple, with raucous sing-alongs, charismatic performers and two grand pianos facing each other. We have been on our feet all day, walking back to hotel after our friend’s wedding, and decide to head down East 6th street to see what all of the fuss is about. It’s dive-y and reminds us a little of Surfers Paradise in Australia. 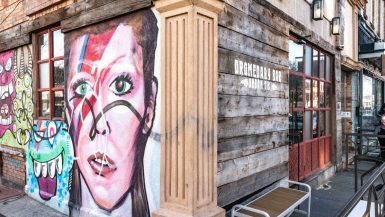 However, one place strikes our eye when we hear some awesome music…with a twist. We decide to give it a go and head into the unknown. Hoping not the catch the eye of the two sharp tongued and quick witted piano players battling it out performing requests of songs of ole to new r’n‘b classics. Yeah you heard us! You catch the eye of their helper who will pass you a slip to write the name of your request and the amount you will pay to hear it played. Hand it back up with the money and wait for your song to come up. Part music and part comedy show, these guys have improv skills to boot. If you’re celebrating that special someone or occasion, you can have them mention it too. But be prepared to cop a roasting in front of a crowd full of onlookers. On this particular night, someone had requested a battle or, duel as it were, between the two hosts, playing tv theme songs. This was the highlight for us, going back to golden girls, saved by the bell and the undisputed winner of TV songs, The Fresh Prince of Bel Air. We were in our element and this was certainly the dose of pub rock and nostalgia that we needed. Pete’s Dueling Piano Bar charges a $10 cover charge but it’s well worth it for the hours of entertainment that will ensue. 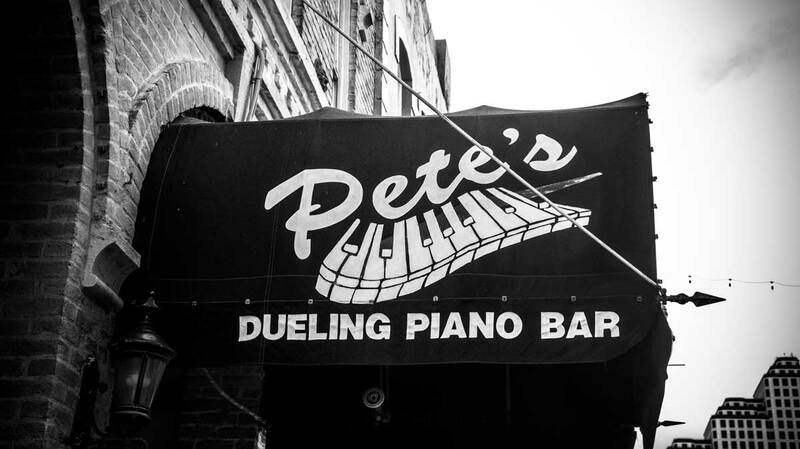 Pete’s Dueling Piano Bar is a live, music hall style venue featuring two piano men, singing, joking and jamming the night away. 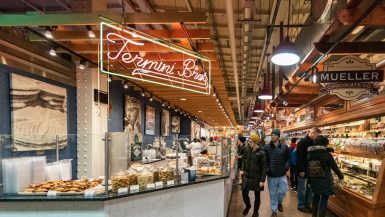 Pete’s is open nightly from 7:30pm – 2am. 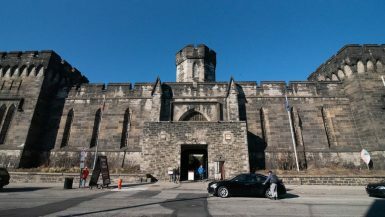 For more details visit their site.